No. Don't you worry dear reader. This prose piece isn't about how the martial-arts legend -- Bruce Lee -- started up his own line of alcoholic beverages. Shame though. Because I could have sure used a drink after watching this kung-fu flick Directed by Heung Ling; and Starring: Michael Chan, and Chia-Lin Sun. It was made in 1973, and lasted for a whole 92-minute's. Cheers! Word to the wise: If you're ever thinking of visiting Thailand, please don't buy a large chunk of jade and then get killed by a group of thug's in the cover of darkness, OK? Because that's exactly happened to the brother of Chang Chen-Wai (Michael Chan), prompting this funny-faced martial-artist to enact his revenge pretty damn quickly. Granted, Chang didn't know that his brother snuffed-it as soon as he stepped foot on foreign soil. No. Of course not. First he traveled across this rustic province with the mysterious Mister Pei. Then he moped around for a day or two, searching for his 'missing brother' here and there. And it was only when Chang sat down and had some tea with the Wong family, that he finally found out what truly happened to his deceased sibling. No. Not from Old man Wong (Guh Men Tong). He knew nothing about this grizzly event. It was his high-kicking and fun loving daughter, Pang (Chia-Lin Sun), who told Chang the circumstances surrounding his brothers demise. However, can you hazard a guess at to what happens' next, dear reader? Do you think Chang and Pang go to a festival for a spot of ping and pong? Do you think they go searching for a watch stolen by a shaggy-haired thug? Or do you think that what next transpires all kicks off when someone gets stabbed in the leg? Well, whatever the case may be: Mister Pei sees the light - a tea houses burns bright - please get ready for a fight - and I didn't know four Wong's make one right. 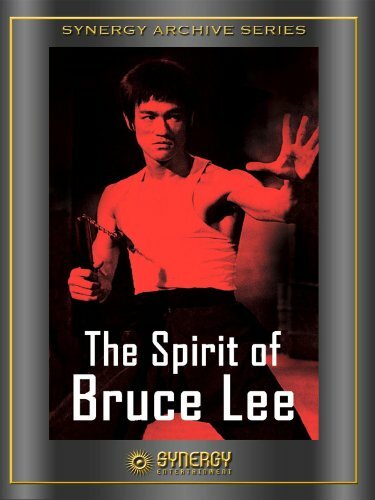 Now before I start 'bashing the granny' out off 'The Spirits of Bruce Lee', please let me just state for the record that this isn't a bad film; but only if you're able look past the piss-poor production values and the staged acting. Conceptually, the pretext is a basic revenge-type-flick. Someone gets' killed. Someone else wants revenge. Some accomplices join the fray. Biff! Boom! Bam! Job done. Moreover, there is a warm heart at the center of this movie too. Pertaining to the essence of old-school family values and kinship in a far-off foreign land. As for everything else in this film though? Well: (1) I'm afraid to say that the fighting scenes weren't really up to par in my eyes. I looked upon a few of them as if they were choreographed by a seven year old school girl that suffered from epilepsy. (2) I really did enjoy watching the female lead, Chia-Lin Sun. She's cute. Super cute. And when she fought I got a stirring in my loins. (3) Alas, I didn't get a stirring in my loins when Chang Chen-Wai was on the screen. No. I'm afraid not. If anything, I felt pity on him. Because this male-lead kept on gettting beaten-up most of the time. (4) As a story goes, it started off too slow for my own tastes, plus the end dragged on a bit too much as well. Adversity, this lop-sided pacing prompted me to shout at the screen 'Get On With It Already! Finish!'. (5) Another drawback with this story was that a large proportion of it relied heavily on happenstance and chance. From my own perspective, the fact that Chen bumped into a secret ally and a family who knew about his brother, whilst looking for his brother, was a mite too coincidental in hindsight. (5) This movie is very-very exploitatively titled. Heck, the only connection it has with the aforementioned Mister Lee; is that his first adult Hong Kong movie, 'The Big Boss', was shot in Thailand. (6) Personally speaking, I'm not a big fan of the token 'final fight villain' who pops up at the end of the film and then fades away. I best leave it at that, huh? 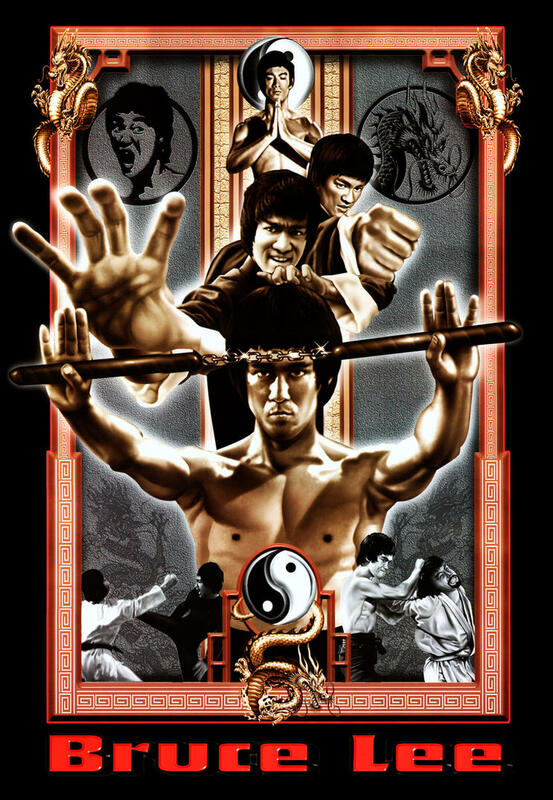 OK, so now I've expunged my inner most feelings about 'The Spirit of Bruce Lee', let's have some filmic facts now, shall we? (1) Michael Chan's Chinese name is Wai-Man Chan; and he was influenced to enter 'the movie-making business' because of his good friend and martial arts master, Bruce Lee. (2) Chia-Lin Sun alternate name is Gar-lam Suen; and her last film was in 1983 with Rosamund Kwan, in the Taiwanese drama entitled 'The Lost Generation'. (3) Michael Chan was very proficient in many different forms of self-defense; such as kickboxing, Muay Thai, plus both northern and southern styles of Chinese kung fu. (4) I kid you not, both the cinematographer, Yi-ping Huang, plus the action coordinator, Tung-Yee, quit their jobs after making this film. (5) Jackie Chan appeared with Michael Chan in two films throughout his career. These include such movies as: Unicorn Chan's 'Fist of The Unicorn', plus his very own soccer-slug-fest 'Dragon Lord'. (6) Apart from this film, Ling Shang has only directed two others films in total. In 1977 he and Unicorn Chan were involved in the action drama called, 'Deadly Snake Verse Kung Fu Killers'. And in 1978 he and Barry Chan were involved in yet another action drama called, 'Mantis Combat'. (7) Although this movie was originally shot in 1973, it was shelved until 1979, where it was re-dubbed, re-jigged, and re-released to an unsuspecting public. Overall 'The Spirits of Bruce Lee' is a so-so action film that could sure use a remake. The acting was OK. The action was bi-polar. And it's only redeeming feature was the heart at its center.